Ryan Roche’s pieces will make you feel fuzzy inside and out. 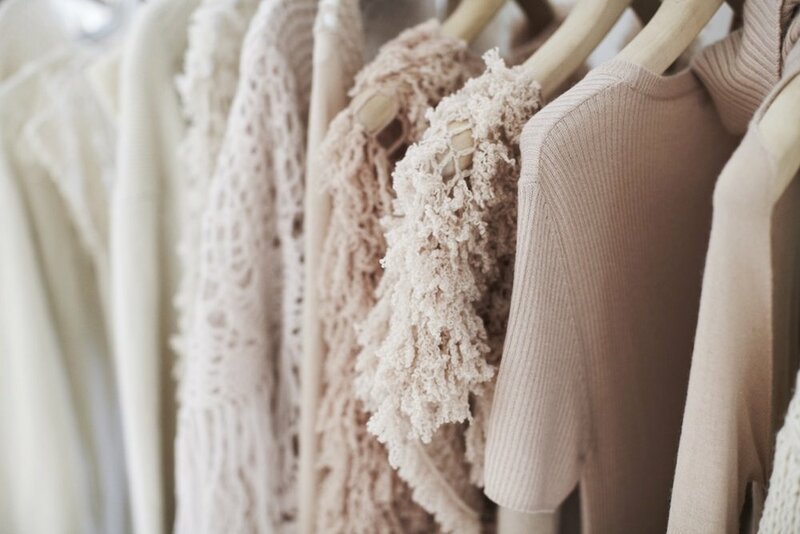 Swaths of buttery cashmere, intricately shagged-out sweaters, and ultra-chunky knits have that kind of effect. But Roche’s designs are wildly cheeky, too: The sleeves of her fisherman sweaters hang way long, her oversized dresses look like they are made out of scarves for fairytale giants, and her cardigans are what muppet dreams are made of. All of which makes sense once you know where it’s coming from: a dream-like woodsy multi-acre property in the unfettered Catskill Park area, a two-hour drive north from Manhattan. (City folks know it as a hot-spot destination for skiing.) 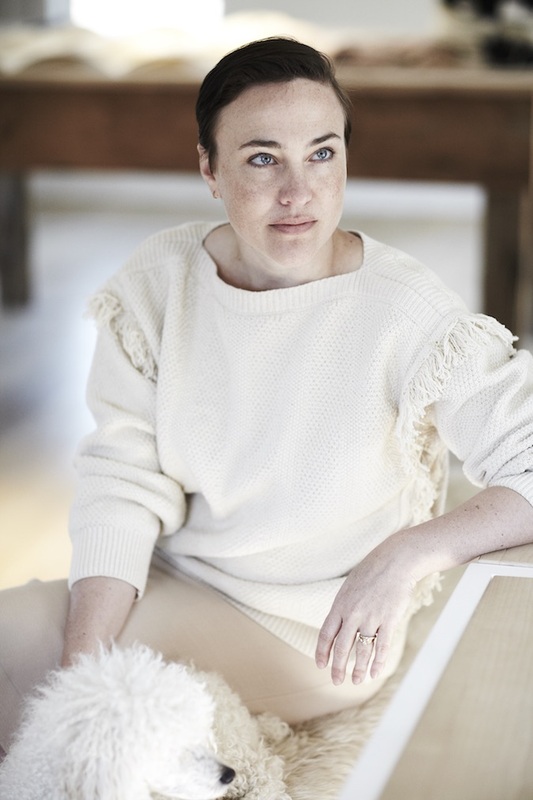 It is from her renovated barn studio in the green wild where Roche gets down to her masterful work as a knitwear designer. Roche’s initial dream of becoming a fashion designer started at a young age. Raised in a rural town in Idaho she lovingly describes as “very Little House on the Prairie,” she grew up surrounded by the likes of cowboys, horses, rodeos, and two important women: her mother who was a sewer, and her great-grandmother who was a knitter. “Making clothes was such a big part of our lives,” recalls Roche. “We’d go into clothing stores and my mom would say, ‘Honey, let’s not buy this, let’s make our own version of it.’ That made an impression on my young mind.” After high school, Roche moved to Colorado to be with a then-boyfriend. She found a job working at a fabric store where Susan Igou, who operated a tailoring school there, taught her “how to really sew, like how to set in a couture sleeve and how to create a hand-bound buttonhole.” She says the experience laid an important foundation for Roche’s desire to further her studies in clothing design. After two years of living in Colorado, Roche relocated to San Francisco to attend the Academy of Art University to start her emphasis on knitwear. But Roche actually never ended up finishing her last semester. Her boyfriend called it quits during her senior year, which prompted Roche to pack up unexpectedly and leave. “I was dying of a broken heart so I moved to New York,” says Roche, as though it was the most natural thing for her to do. She showed up in the unknown city with “a tiny suitcase and no money,” crashed with a friend who was there interning, and attempted a fresh start in fashion. And it wasn’t long until Roche’s love life also renewed itself—she found it again with a man who would eventually become her husband and father to their three children. Years later, after working in corporate fashion environments, Roche forayed into entrepreneurship with her short lived, but beloved children’s line and brick-and-mortar called Mor Mor Rita, named in honor of her great-grandmother. As a twenty-something mom in Williamsburg, Roche was inspired by her newborn to make tiny clothes for little ones. “When you’re making clothes for kids and babies especially, you’re conscious of what they’re wrapped up in,” says Roche. “I’m proud to say I was one of the first female designers to use only organic fabrics.” Mor Mor Rita grew a devout following and Roche started to consider a women’s line with a similar mission to her kidswear: consciously-made materials in modern, romantic silhouettes. After her second child was born, Roche closed Mor Mor Rita for good, (bumming out savvy moms throughout Brooklyn), and moved upstate with her family. But Roche’s passionate customers remained fervently supportive and encouraged her to start her eponymous line. Ryan Roche, the women’s line, launched in 2011. Roche’s fan base grew organically and immensely: famous New Yorkers, like Maggie Gyllenhaal and Milla Jovovich, were already singing her praises and buyers started nosing around soon thereafter. Yet, it was just last year, three years since launch, that the brand really received the spotlight attention. 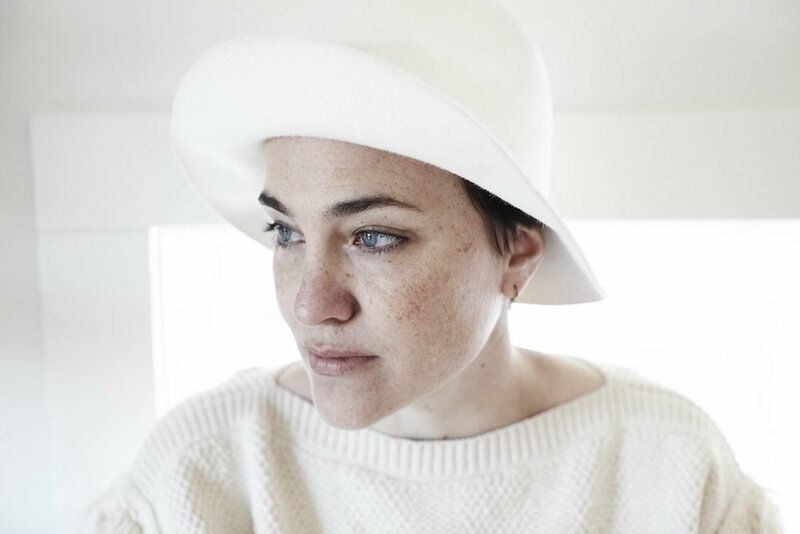 Ryan Roche placed runner-up at the 2014 CFDA/Vogue Fashion Fund awards, then, earlier this year, she was shortlisted for the 2015 LVMH price and she was also nominated for the CFDA Swarovski award for womenswear designer of the year. “It’s like a dream,” says Roche. Now, with the Ryan Roche label blowing up, Ryan Roche the designer felt a pilgrimage to Nepal, where her line is hand knit by a women’s cooperative, was long overdue. Correspondence had always been conducted over email; Roche thinks she’s only spoken on the phone with the group twice over the course of a decade. A true loyalist, she was first introduced to the Nepalese group while sourcing fabrics for children’s clothing. So, with her increasing sales and upward trajectory, Roche felt like it was only appropriate to finally meet her skilled knitters face to-face.